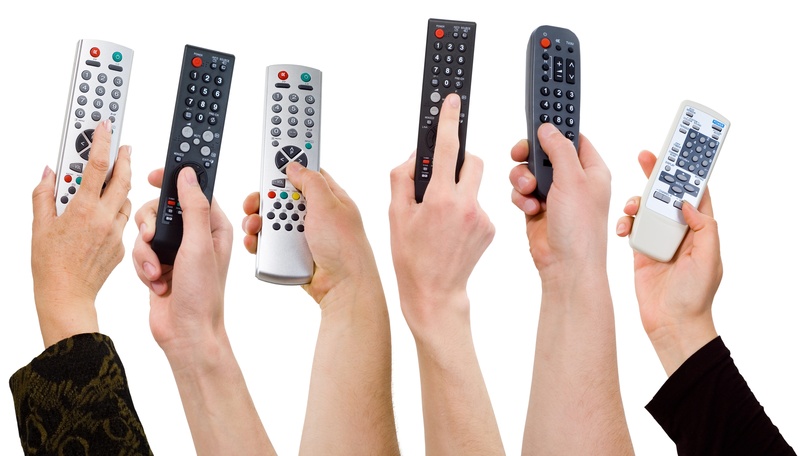 The television continues to evolve, but the remote control is stuck in limbo. Needs to go. Here's why. The remote control, back when we only had four channels to choose from, was the perfect way to interact with television. We had a power on/off switch, channel and volume buttons and if you were really tech-savvy a numeric keypad. No directional pad, settings buttons, RGBY buttons, or guide controls. They weren't needed. Television sets were used to watch television programs, and the remote control was used to change from channel to channel. Easy. Of course, that time of innocence for the television was over 30 years ago and things have moved on since then. The TV has evolved from a just a single screen into part of the home entertainment center, and again recently into a hub for the Internet. The number of channels has exploded from the initial half dozen to thousands of different options. You don't even need to own a television to get your favorite TV shows anymore, thanks to options like BBC iPlayer, Netflix, Amazon Instant Video and Hulu.